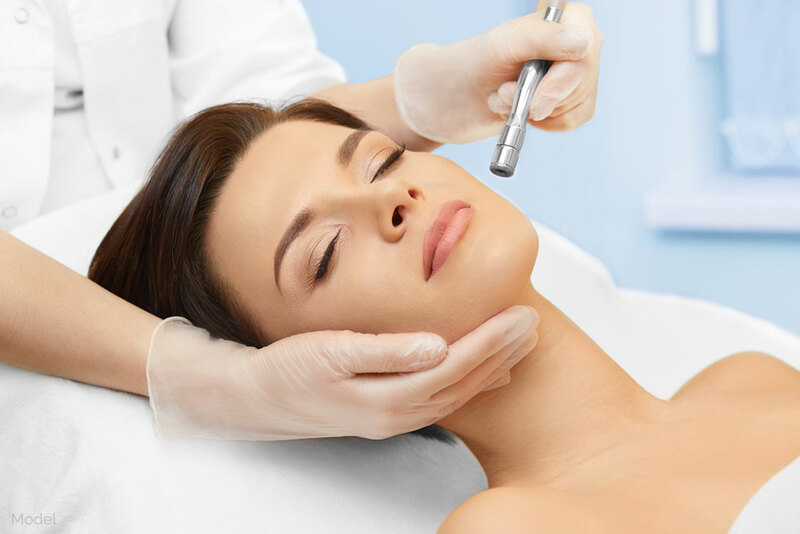 Microdermabrasion is a non-surgical, sterile, painless technique for exfoliating the uppermost layer of skin. The procedure reduces the appearance of sun damage, age spots, fine to moderate early aging lines, acne scarring, and hyperpigmentation. Your aesthetician uses a hand-held wand that blends gentle polishing with cleansing vacuum action. After your microdermabrasion session, a moisturizer and sunscreen are applied to protect your skin based on your individual needs. A complete at-home skin care regimen may be recommended to prolong the positive effects of your treatment. Have additional questions about the Microdermabrasion procedure? Schedule a Consultation with Dr. Knowling for further information.